Still Waiting On Your Dram Shop Settlement? Although the term is antiquated, dram shops are the name for businesses that sell liquor. This can include restaurants, bars, nightclubs, and liquor stores. The name comes from a unit of measurement, called dram, which is how liquor quantities used to be measured. Individuals who are injured or otherwise damaged by drunk drivers should find out whether their state has a dram shop liability law. This law holds alcohol-serving businesses responsible when they over-serve an intoxicated customer and the customer later harms people or property. Purveyors of alcohol have a responsibility to cut off customers who are showing obvious signs of drunkenness. Whether that’s slurring, starting fights, or being unable to hold themselves up. When these establishments don’t uphold their responsibility some states, such as Illinois, allow injured and damaged parties to sue the negligent business in order to recover damages. Each state has its own set of rules that must be met in order for the dram shop liability to take effect. By suing the dram shop, not only do you recover your own damages, but you could teach the business owner a valuable lesson that forces him or her to change business practices and policies and prevents someone else from becoming a victim. If you think you have a liquor liability case, contact us today. At Pravati Capital, we invest in the success of both law firms and plaintiffs. To this end, we have built a network of qualified, experienced attorneys who can help you with your liquor liability dram shop suit. But finding the right attorney is just part of the uphill battle that’s facing you. You may also need financial assistance to deal with the damages that the intoxicated person caused. We can assist by providing the legal financing you can use to repair your car or other personal property, get medical treatment and make up for lost wages after an accident. 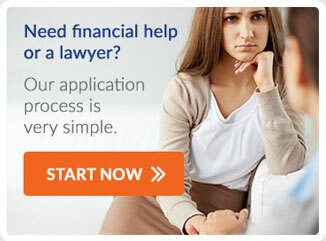 This financing takes away much of the financial pressure facing you during a long-term trial. If you believe that you harmed by a Dram Shop, contact Pravati Legal Funding.